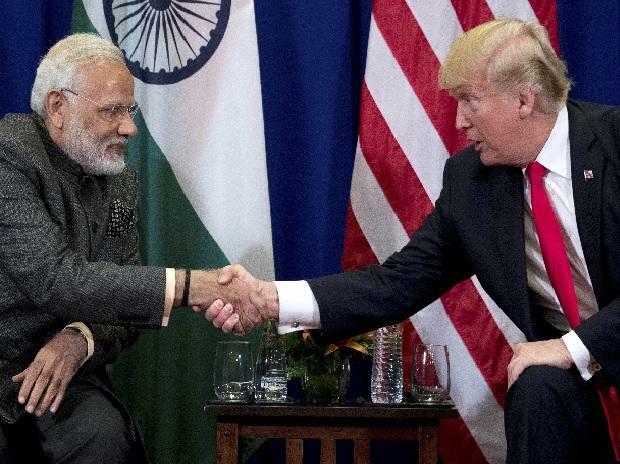 It’s hard to find anyone willing to say -- on the record -- that anything could be wrong with the relationship between India and the US Over the past 20 years, the world’s two largest democracies have grown steadily closer. But, the truth is that this has happened in spite of the economic linkages between the two countries, not because of them. The US administration’s argument is simple: India isn’t lowering its trade barriers enough. To the contrary, it’s raising new ones. US dairy imports into India aren’t being allowed for “religious reasons” by a government that has increasingly focused on protecting the sacred cow. New Delhi is worried, for example, that American cows may have been given bovine somatotropin, a growth hormone that’s extracted from the pituitary gland of other cattle. India’s turn towards protectionism may have gone relatively unremarked in the rest of the world so far, but there was always going to be damaging blowback. Many of the exporters that will suffer as a consequence of the GSP withdrawal are in sectors such as engineering -- precisely the sort of value-added manufacturing businesses that India needs to see more of if it’s to create jobs for the millions of young people who join its workforce yearly. Indian exports have done remarkably poorly under Prime Minister Narendra Modi, who was elected five years ago amid widespread expectations of an economic revival. Exports have, in real terms, been largely flat over his term. Compared to China, India is still a largely poor, developing country. It naturally should be allowed to benefit from the special arrangements set up for such economies but won’t if it tries to throw its weight around on the assumption that it’s the only game in town. Manufacturing that’s moving away from China doesn’t need to shift to an India that’s notoriously unfriendly to foreign business. It can go elsewhere -- and is doing so, to Bangladesh or countries in Southeast Asia such Vietnam. Both those nations have seen exports grow at a smart pace while India’s have stagnated. The US, too, is missing a trick. A Trump administration obsessed with fixing trade with China needs allies -- and not just in the developed world; alienating India is an extremely short-sighted strategy. Washington would be wise to retain a sense of proportion: India’s trade surplus with the US is a measly $23 billion -- barely seven percent of China’s $323 billion. If Washington wants to force Beijing to play by the rules, India could help. Instead, the impression the US is giving is that any attempt to fix the trading system to spread the benefits more fairly will end up hurting India. Both India and US need to think harder about what they want to get out of each other. The US needs to remember that a close relationship with a prosperous India is the best way to ensure the survival of a world order that has long benefited the US above all. And the government in New Delhi needs to remember that the US can only be pushed so far -- and that India’s own best interests lie in participating fully in the trading system that has made so many other countries rich.